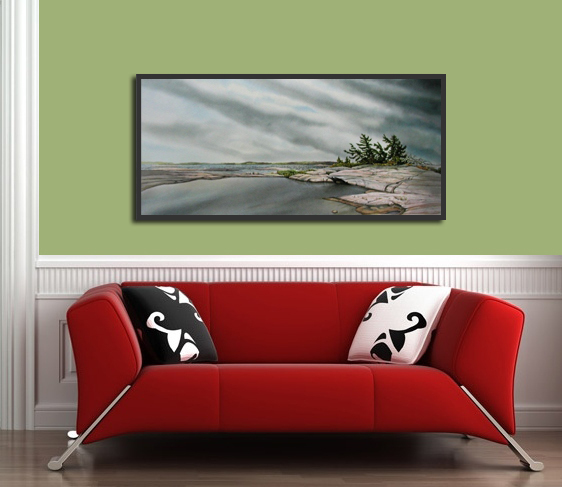 So you’ve bought a gorgeous piece of art for your home, but you’re not sure how to hang it. Here’s what to do! The rule of thumb is that the centre of the work should always be at eye level. This will allow everyone to fully appreciate the beauty and detail of the work, enhance the balanced look of your room, and it will also give the impression that you’ve hired a professional interior decorator! 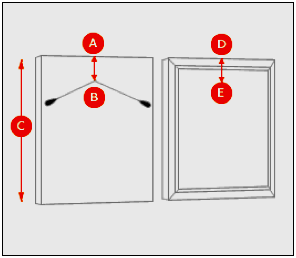 Art galleries around the world use a standard formula based on the eye level of the average adult when hanging two-dimensional artwork. Consistency is key! 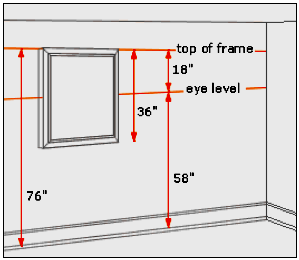 The standard eye level height is generally between 56 to 60 inches from the floor (some even go as high as 62 these days), so you can choose whatever best matches the height of the people in your environment. Whatever you choose, it should remain the same for each piece. NOTE: In cases where works are hung in groups, the centre of the grouping then sits at eye level. This entry was posted in Art, Tutorial and tagged Art, Hanging Artwork, Home Decor, Tutorial. Bookmark the permalink.